This skirt can also be used as a lining for a see-through skirt or dress. I have a Barbie dress I designed that has a very open lace skirt, so I used this skirt for underneath, and it looks great! 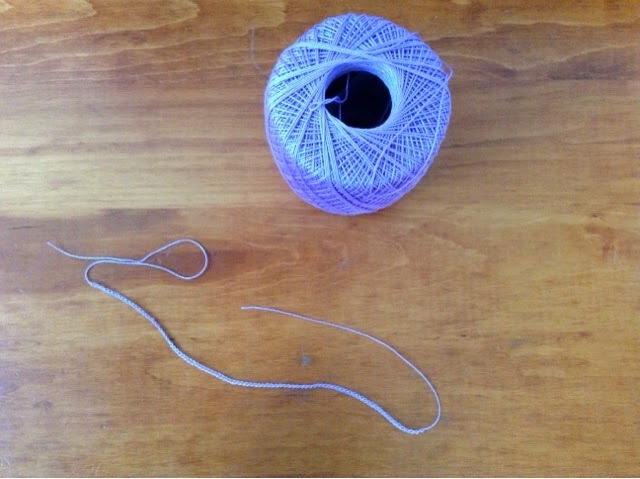 With size 10 thread and 1.8 mm hook, ch 100. This for the tie. You can also use 1/8 inch ribbon. 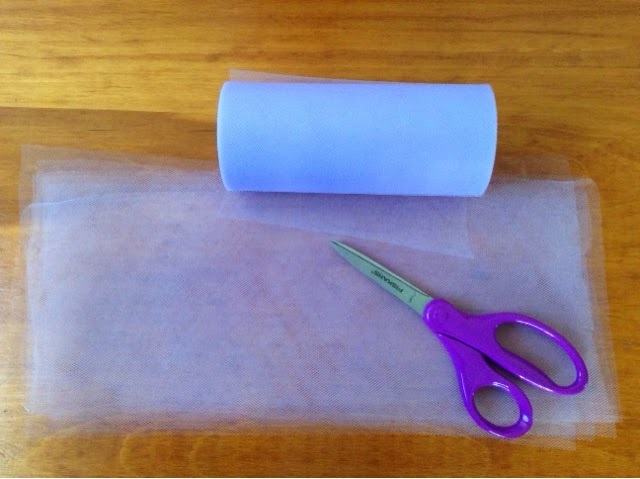 Cut strips of tulle that are 5 1/2 inches wide and about 12 inches long. You should cut around 10-12 total strips. 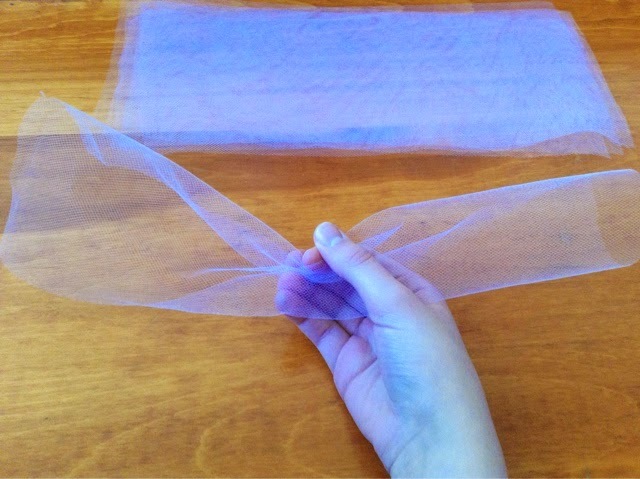 Gather one strip of tulle lengthwise in your hand. 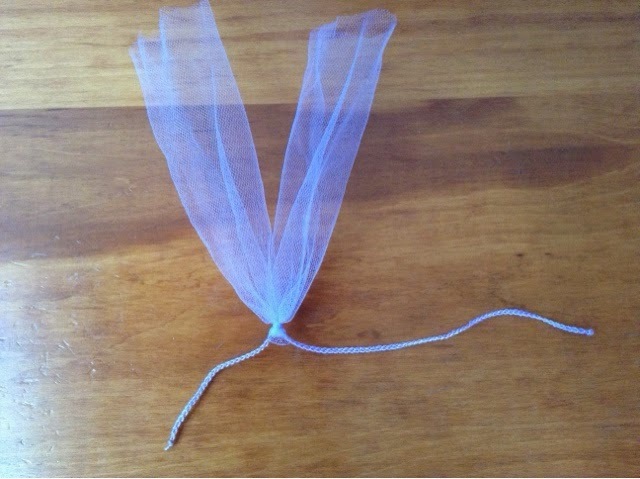 Fold the gathered strip of tulle in half. See the loop at the top made by the tulle being folded? 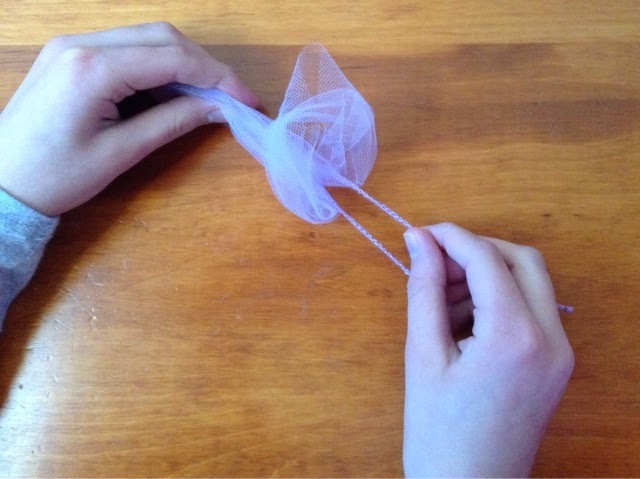 Just pull the ends of the folded tulle through that loop. Your finished result should look like this. 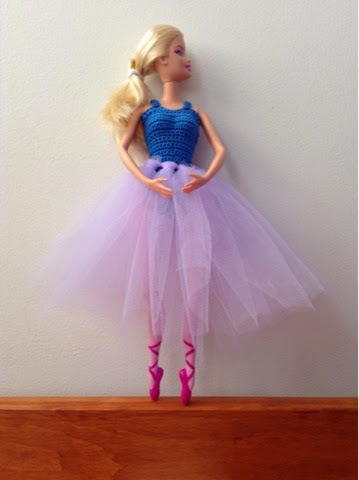 Do that with each tulle strip until skirt fits around Barbie's waist. Use ends of ribbon or chains to tie skirt around Barbie's waist. And you're done! 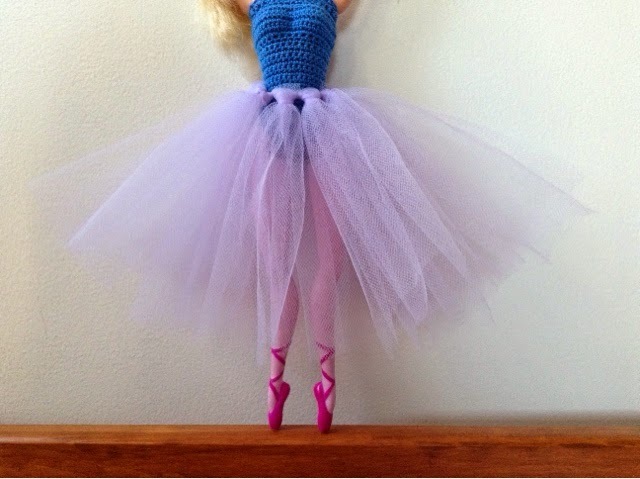 Will you post a picture of the skirt made for the 18" doll? I will post a picture of the skirt made for the 18" doll once I take a picture of it. Thanks for commenting! This is a great project for Beginners to do. I tend to work slow due to age and severe arthritis. I made 4 of these in less than an hour. I bought the tulle on a spool which made it go super quick on the cutting with this part. I did change a little on the tie, I chained 150 using metallic thread and then did a sc in each stitch starting with the 2nd chain from the hook. This just makes it easier for little hands to work with.